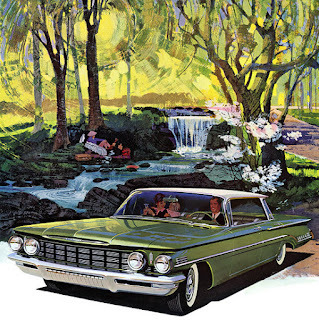 Styling of the 1960 Oldsmobile was conservative and dignified. Oldsmobile had a chequered sales history in the 1950s. In Oshawa, Ontario, model year production for 1952 was 6,112 units. The following model year that rose slightly to 6,800. With an end to hostilities in Korea, GM was once again able to focus on civilian vehicle production. 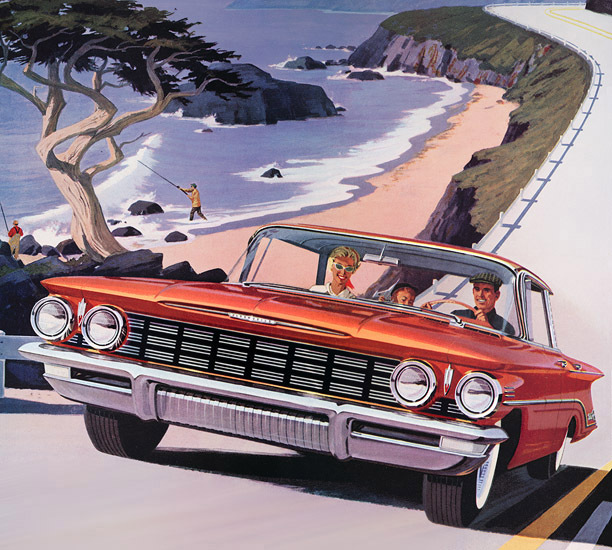 Oldsmobile’s total jumped to 9,008 cars built in 1954. In 1955 model year a total of 14,274 Oldsmobiles rolled off the lines in Oshawa. 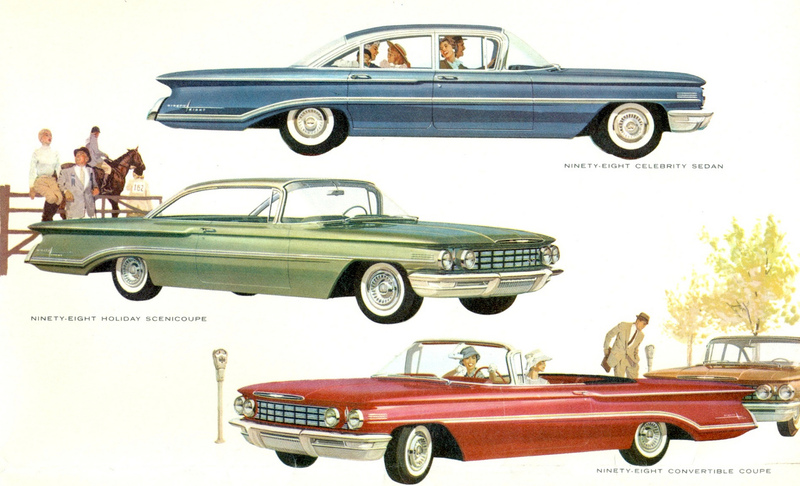 Because of a 144-day strike, the 1956 model year total was cut nearly in half, at 7,968 units. The final tally for 1957 hit 14,177 units. That dropped to 11,526 built in Oshawa during the 1958 model year. Hard on the comeback highway, a whopping 16,230 Olds units rolled out the doors of the sprawling 30-hectare (75-acre) South Plant in Oshawa during the 1959 model year. There’s a Rocket for every pocket! crowed Olds advertising. 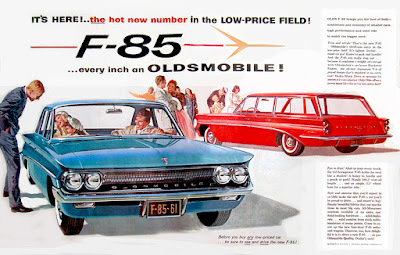 !960 models were given lower axle rations that reduced engine speed, improved economy and—Oldsmobile pleasability. The mid-priced, mid-range Oldsmobile fielded no fewer than seventeen different models when the cars made their debut in the fall of 1959. Six of them were built in Oshawa and eleven others were sourced from the Lansing, Michigan factory. While it appeared to be skewed in favour of the Americans, only 231 units were exported from the United States. The small number of cars shipped abroad resulted from a bitter 116-day steel strike in the USA; one that crippled General Motors’ American operations. The labour dispute eventually affected work in Oshawa. Records show that no Oldsmobiles were manufactured in Oshawa that November. A terse ‘zero’ in the column spoke volumes. 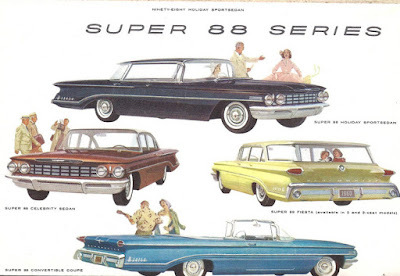 Oldsmobiles in the Dynamic 88 and Super 88 series were designated as ‘junior’ Oldsmobiles and shared the new corporate B- body style with ‘junior’ Buicks. 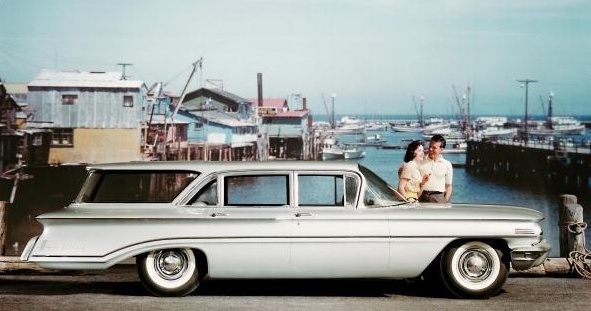 For the 1960 selling season, Olds was conservative in its look. Using the division’s signature rocket logo as this season’s sales cue, Olds was, “radiantly styled for the rocketing Sixties”. Ad copy waxed enthusiastically about the “fresh, balanced, enchanting symmetry” of the complete-sized, complete-value, complete quality automobile. The grille was crisp and trim, replete with eleven vertical stacks of chrome bars, each divided into threes, each cluster containing three ribs. Quad headlamps were lightly browed and separated by the Oldsmobile insignia. 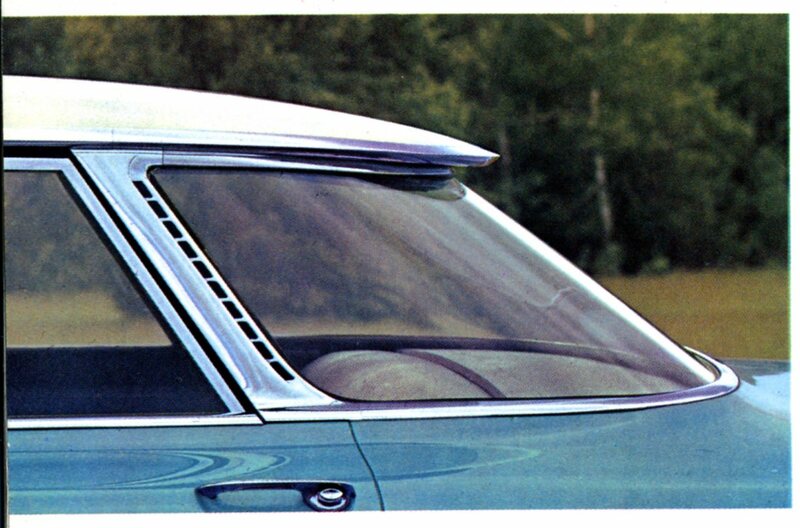 Above the grille, front and centre, was a long, narrow hood scoop with the word ‘Oldsmobile’ spelled out in capital letters. The hood scoop was defined by twin creases that ran to the cowl. The bumper was split into thirds, the centre being ribbed and recessed. The bumper’s flanks were also split, the perfect place to tuck in the wrap-around parking lights and directional signals. 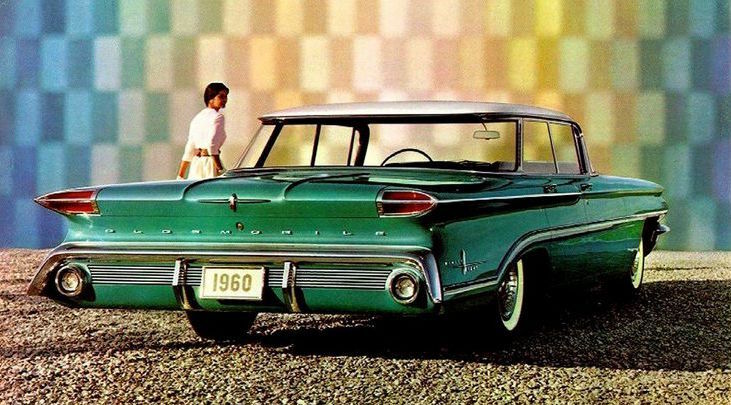 The sides of Oldsmobile’s sleek envelope whisked the headlamp brow crease all the way to the end of the car where it capped a most modest tail fin. A body beauty line sprang up at the leading edge of the front fender—below a trio of wind splits— spanned the wheel wells, then turned downward in a languid curve that kissed the rear bumper. 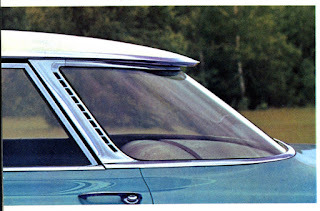 The greenhouse featured a wrap-around windshield with the trendy reverse-dog leg A-pillar. An Olds could be clad in any of fifteen Magic-Mirror Finish. From the derrière, twin creases dashed down the length of the trunk lid. There was enough space between them for the Oldsmobile insignia, centred on a long, thin chrome bar. A sharply defined beauty line crossed the top of the trunk lid, spanning a pair of rocket shaped tail lights. Oldsmobile was spelled out below the trunk’s lower lip. The lock was centred. An extra-cost nicety was the Deck Lid Power Lock Release—located in the ‘handy’ glove compartment—that would pop open the trunk, without the driver ever having to leave the vehicle. The back bumper was a flat bar that arced downward at the ends. Round back-up lights rested in the extreme edges of the arcs. A series of horizontal chrome bars traversed the area below the bumper, punctuated by the license plate and decorative chrome bumperettes on either side. A half-dozen Dynamic 88 models were offered. 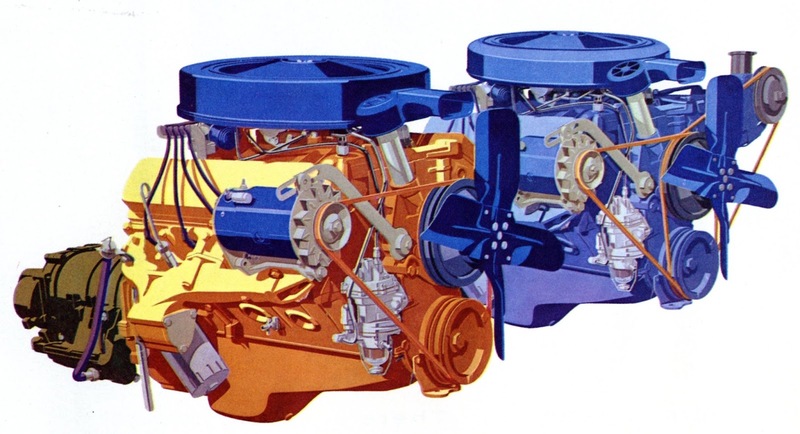 These high-stepping expressions of ‘Oldsmobility’ were billed as ‘standout beauties—the lowest priced Regular Rocket Engine Oldsmobiles’. Thrift was emphasized. Because they operated on regular octane fuel, advertising boasted that owners would save a dollar on every tank of gas. From Oldsmobile’s factory in Lansing came a total of 31 Dynamic 88 Celebrity two-door sedans at $3,252 each. Each tipped the scales at 1 290 kilos (4,235 pounds). These plain Janes were the most modest of the entire Olds clan. Three convertibles in the 88 series were imported, with a list price of $3,767. The ragtop weighed 1975 kilos (4,355 pounds). Twelve Fiesta three-seat station wagons arrived in Canada, each tipping the scales at 2 127 kilos (4,690 pounds) and a price tag of $3,985. All prices for the imports were FOB Windsor. From GM Canada’s South Plant in Oshawa, came the 1 958 kilo (4 318 pound) four-door sedan at $3,095, the 1 935-kilo (4,268-pound), two-door Holiday Coupe with its $3,157 price and the 1 990-kilo (4,338-pound), four-door Holiday Sport Sedan selling for $3,242. All the domestically-built Oldsmobiles were FOB Oshawa. The Dynamic 88s were identified by script affixed at the trailing edge of the rear fender. They carried no belt line trim, save a simple side chrome spear that graced the length of the vehicle. The two least expensive 88s were fitted with dog dish hubcaps, rather than full wheel covers. Chrome trim rings, to fill out the wheel, were optional. Oldsmobility power plant in the Dynamic 88 was the 6-litre (371-cubic inch) Regular Rocket. The mill featured new pistons this year and a new Econ-O-Way two-barrel carburettor. Three-speed Synchromesh standard transmission was standard, the lever mounted on the steering column. The Jetaway Hydra-Matic Drive was optional. Economy was further enhanced with the economy Expressway Axle. Oldsmobile rode on an exclusive Wide-Stance Chassis that featured a Guard-Beam Frame, nylon-sheared shock absorbers and live-rubber body mounts that were 50% thicker than previous. Interiors for the Scenicoupe were available in five colour schemes that featured ‘striking fabric texture’, accented and bolstered in durable Morocceen. The Sport-Sedan was given a dark grey diamond-pattern fabric, accented in ivory-coloured Morocceen—though a choice of four other colourful combinations could be selected. 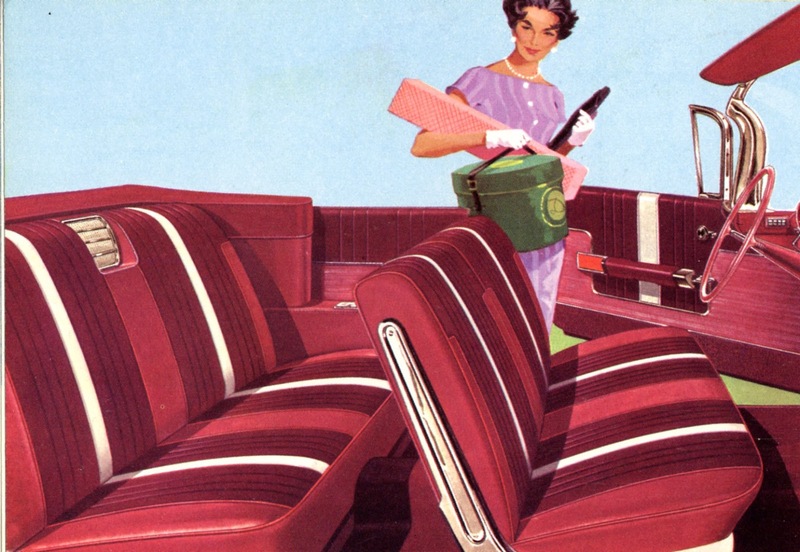 Fashion-Firm seats were foam-padded fore-and-aft, save the rear seats of the two-door and four-door sedans. Flooring consisted of rubber with carpet trim. Moving up, there were another half-dozen Olds to be found in the Super 88 series. These were better dressed than the base Dynamic 88s. Niceties included two-speed windshield wipers, the De Luxe Safety-Vee steering wheel and more chrome—inside and out. Carpet was deep-twist pile. The duel ash trays were illuminated. Once again, the Synchromesh gearbox was standard equipment. The Jetaway Hydra-Matic Drive was optional. The Oldsmobile Super 88 Holiday Sportsedan was built in Oshawa were the four-door sedan rode on a 123-inch wheelbase. The only imported models in the Super 88 series were the convertible and the Fiesta station wagon. The former cost $4,109 and weighed in at 1 975 kilos (4,355 pounds), while the latter offered a generous 2.5-cubic metres (88 cubic feet) of cargo space when the rear seat was folded flat. The two-seat hauler cost $4,196 and the three-seater cost $3,985. The Oldsmobile Super 88 Fiesta station wagon was built in Lansing, Michigan. The two-seat carried six. It cost $4,196 and weighed in at 4,645 pounds while the three-seat, nine passenger variation cost $3,985 and packed a hefty 4,670 pounds of weight. Under the insulated hood of the Super 88s and the Ninety-Eight models lurked the Premium Rocket engine with its Multi-Jet Carburettor. The 6.4-litre (394-cubic inch) behemoth, belted out an impressive 231 Kilowatts (315 horsepower). It promised to deliver maximum performance from high octane, premium fuels—the ideal combination of ‘Rocket thrust and thrift’. The ’slender’ roof protruded beyond the Sweep-Around, curved rear glass window to provide shade from the sun. 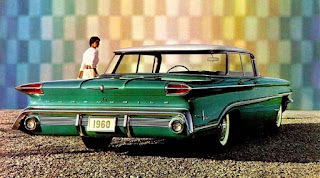 The Oldsmobile Ninety-Eight series were given a 126.3-inch wheelbase, one shared with Cadillac. The entire Ninety-Eight series was imported from the US. Dressed to the nines, the top-of-the-line four-door Celebrity sedan cost $4,437. Records show that Canadians bought 19 of the Holiday SceniCoupe two-door sedans at $4,662. Three of the four-door Holiday Sport-Sedan were sold to consumers for the sum of $4,769 each. These were hardtop convertibles, with no “B” pillar. The rear pillar was slim, chromed and ‘smartly notched’. The slender roof extended beyond the heat-resistant rear glass to provide shade from the sun. The Ninety-Eight open convertible coupe sported glove-soft, hand-buffed leather upholstery. The ragtop sold for $4,981. Body creases were laden with brightwork trim. The word ‘Ninety Eight’ was split, staggered billing style, nestled in a tasteful chrome star, at the trailing edge of the rear fender. The word ‘Ninety Eight’ was split, staggered billing style, and nestled in a tasteful chrome star, at the trailing edge of the rear fender. 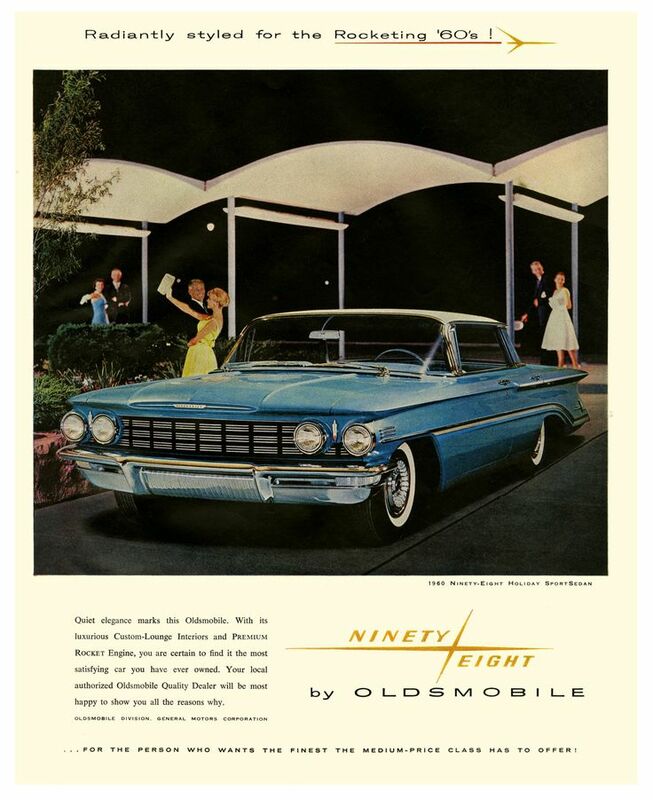 Fashion-Flair Interiors for Oldsmobile’s ritzy flagship could be selected in grey, green, fawn, blue or turquoise. Chrome and brightwork accents throughout the cabin set it apart from its lesser kin. Optional was the sumptuous Custom Luxury Interior Trim package. It featured rich Jeweltone leather with nylon inserts and Morocceen accents on Custom-Lounge Seats, while overhead, Star-Lite headlining was held in place with brightwork roof bows. The instrument panel featured ovoid-shaped twin coves. 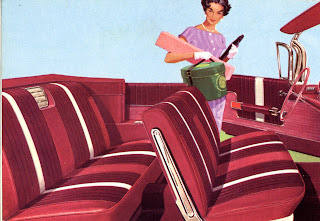 Safety padding was standard on the Super 88 and Ninety-Eight models, as was the De Luxe Safety-Vee Steering Wheel. The Safety-Spectrum Speedometer was of the strip design. Colour-keyed to the speed range, the bar changed from green to amber at 60 kph (35 mph) and then to red at 100 kph (65 mph). For a few bucks more, one could order the Safety Sentinel, which monitored the vehicle’s speed. A light flashed and a warning sound went off when the driver’s pre-set limit was exceeded. Standard appointments found on the Ninety-Eight included the Jetaway Hydra-Matic Drive, Roto-Matic Power Steering, Pedal-Ease Brakes, Wide-Arc two-speed wipers, a windshield washer, an electric clock, a rear centre armrest, ‘Deeper’ pile carpeting, electrically operated windows and a fore-and aft power seat adjuster. Add ons for the poshest of Oldsmobiles included the Guide-Matic Power Headlight Control with GM’s exclusive Safety Salute. This pistol-shaped sensor was mounted on the instrument panel to the driver’s extreme left. The unit automatically dimmed the Olds’ bright lights for oncoming cars. The Safety Salute component ‘marks the courteous driver with two quick, compelling invitations to approaching driver to dim his brights’. Dimming distance was adjusted by dial. The fully transistorized Super De Luxe Radio was offered with or without push-button turning. Wonder-Bar Station Selector was positioned at the top of the radio. A single touch of the tuning bar sent the radio to seek to stations with the strongest broadcast signals. A foot touch pedal, on the floor tuned it, as well. Heaters were optional. The manually-operated unit made use of easy-slide horizontal hand levers and a rotating switch to heat and ventilate the cabin. The fancy Dual-Range Power Heater fan operated on a two-speed switch. Air intake direction was controlled by four buttons and a gliding lever set the temperature. For summer, Air conditioning promised to cool and dehumidify the interior in 180 seconds, while removing 98% of air-borne pollen. Oldsmobile was the Pace Car for the 1960 Indianapolis 500, the granddaddy of auto races. 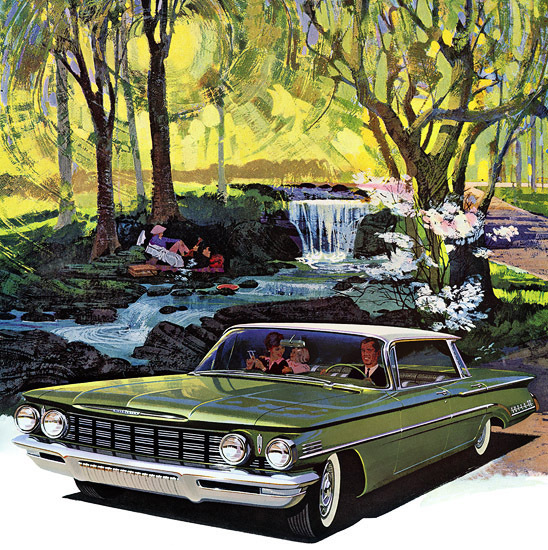 GM Canada was on a roll in 1960. A vehicle left the factory every 47 seconds—as many as 1,393 units a day during peak production times. The manufacturer was pleased to announce that it had 15,000 workers on payroll in its plants in Oshawa and Windsor, Ontario. Payroll was pegged at $60 million. Production for the 1960 season ended with a total of 11,974 Oldsmobiles built in Canada. (One source shows 10,482 domestic builds), down nearly a third from last year. Canadians were turning more and more to smaller, more efficient transportation. 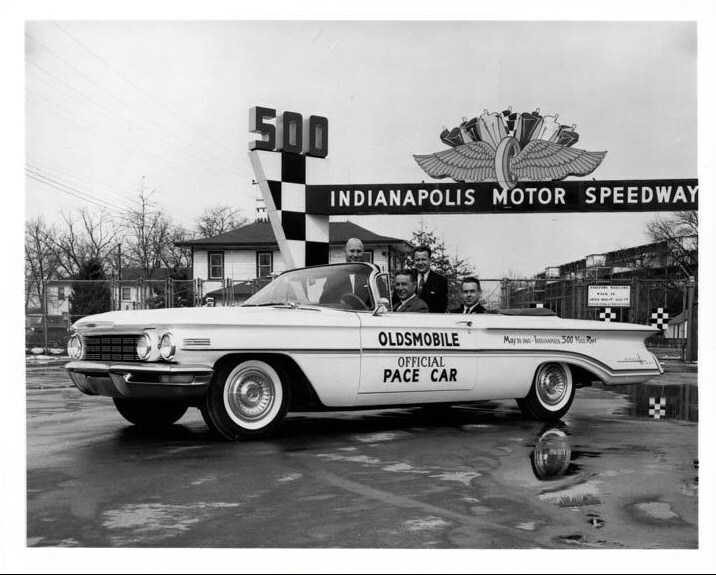 Oldsmobile had a secret weapon in its arsenal as it prepared to launch the compact F-85 in the 1961 season. Copyright James C. Mays 2017 All rights reserved.